M.Nugent kicks 73 yards from CIN 30 to WAS -3. B.Banks to CIN 48 for 55 yards (M.Nugent). Published: Aug. 29, 2012 at 10:08 p.m.
Washington Redskins wide receiver Brandon Banks extends for a 47-yard catch from quarterback Kirk Cousins. Washington Redskins wide receiver Brandon Banks turns on the afterburners taking a reverse 43 yards. 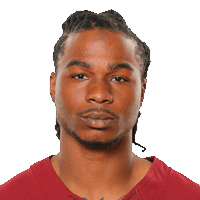 Published: Aug. 18, 2012 at 11:38 p.m.
Redskins punt returner Brandon Banks takes it 91 yards to the house, pulling Washington within seven of the Chicago Bears.